'Significant human remains' were discovered at the site in March. IT WILL BE extremely difficult to identify the individual remains discovered at the Tuam mother and baby home in Galway, as the remains of the babies are “commingled”. Providing its monthly update on developments in the Tuam investigation, the Department of Children said in a statement this evening that as the remains are intermingled with each other, it represents a “significant complication to individual identification”. Earlier this year, the commission of investigation into these homes found “significant human remains” in a structure which appeared to be “related to the treatment/containment of sewerage and/or wastewater”. Minister Katherine Zappone had indicated that a monthly update would be provided on the ongoing investigations at the site, the first of which was issued this evening. The site at Tuam, the department said, has “unique and specific aspects” that mean that there are “currently no known comparative sites, nationally or internationally”. This is more acute in the case of juvenile human remains due to their fragile nature, compounded by the potentially significant quantities involved. The unknown stability of the chamber in which the remains are in also poses a significant problem. Due to these issues, “there is no clear national or international precedent to follow,” it said. At this point, four options are being considered to allow for a forensic investigation of the remains to take place, ranked from least to most intrusive. The final technical report examining these options with regard to “feasibility, requirements, expected outcomes, timelines and estimated costs” will be delivered to Minister Zappone in September. The minister said recently that she was considering broadening the terms of reference for the independent commission investigating mother and baby homes to “help to answer some of the questions which have been raised again in public debate”. 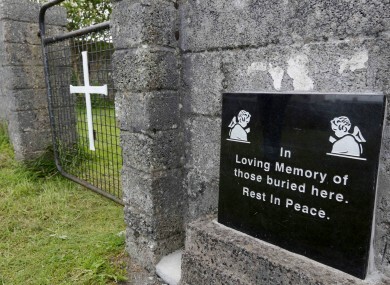 Email “The 'mixing of remains' will make it very difficult to identify babies at Tuam site”. Feedback on “The 'mixing of remains' will make it very difficult to identify babies at Tuam site”.